My last few posts have had regional jerseys so this post I am going to continue with that and show my few Thunderwolves items. 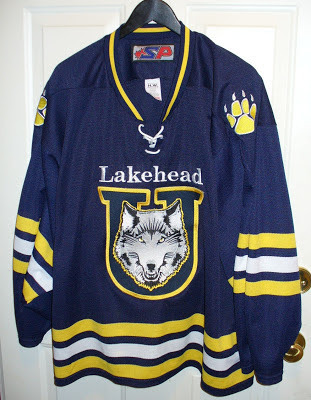 The Lakehead Thunderwolves are the university hockey team for my city; they are the highest level of hockey available to watch live. I try to get out to 1 or 2 games a year. Their chief rival is the Western Mustangs. You can see the giant curling stone outside the Gardens that was at one time the largest curling stone in the world. 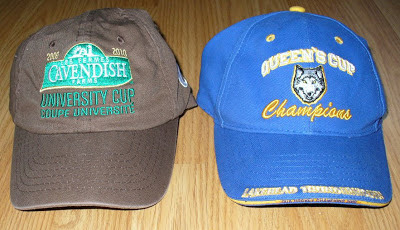 Now onto the few items that I have of Lakehead Thunderwolves stuff. I have a Thunderwolves replica jersey that I got through someone locally off Kijiji. Here are a couple of caps that I got at the thrift store. One is a Thunderwolves one. 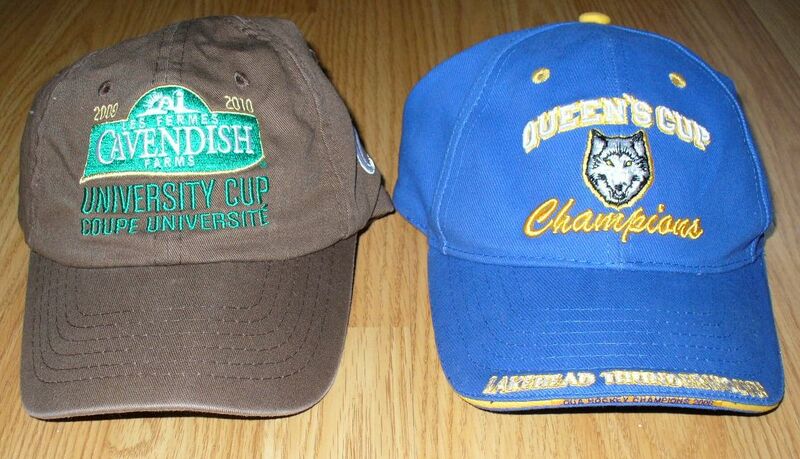 The other is one from the Canadian university championships when Thunder Bay hosted them (2009 & 2010). As the host city the Thunderwolves were guaranteed a place in the CIS tournament (sponsored by Cavendish Farms). I saw a couple games of the tournament one year as my father was given tickets from a friend of his. 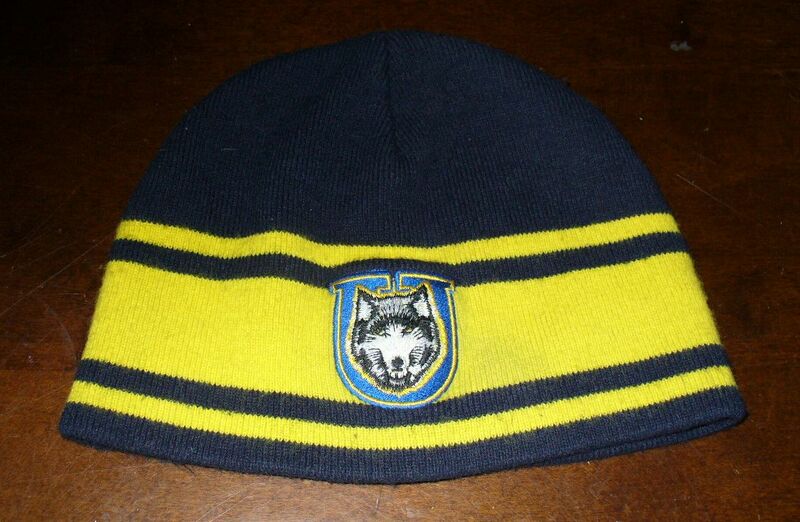 I also picked up a toque from a local Salvation Army thrift store.